Each box of Eco Nuts comes with at least one wash bag. If you're going to the laundromat and need several more bags, or you lost the ones that came with your boxes, never fear! You can order more bags right here. 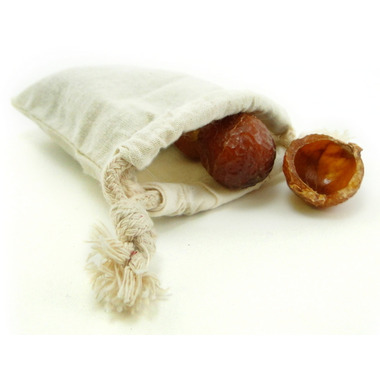 These are very high quality cotton bags that will stand up to hundreds of washings. So far so good. I needed some extra bags and these have held up well so far. I air dry between washes and haven't had a problem with moldy bag like other reviewer. I love the eco nuts ....please do not discontinue! Great natural product! Clothes smell naturally clean! However, the bags go mouldy if air dried and not dried in the dryer.